781 Air Cadets has opened an account at Vecova Bottle Depot. Where you can take your empty bottles any time. For the drop off service at Vecova Bottle Depot it is like a Dry cleaning service. When you go to bottle depot go directly to the cash office window. 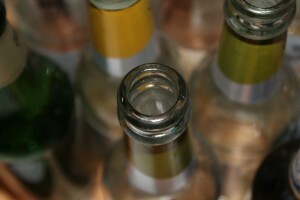 Inform the cashier that you are dropping bottles off to be put towards the 781 Air Cadets. The cashier will write up a sales order and give you the white copy. The sales order will give a rough description of the product being dropped off. For example 1 shopping cart full, or 3 garbage bags and two boxes. The Yellow copy will be attached to the order. The third copy will remain in the sales order book for tracking purposes. Each month 781 will directly receive a cheque from Vecova for the bottle returns. It is an easy way to do fund raising rather than doing a bottle drive. On behalf of the cadets of 781 Squadron, we thank you in advance for your generous support.